In 1965, The Beach Boys released their ninth studio album, “Summer Days (and Summer Nights!! 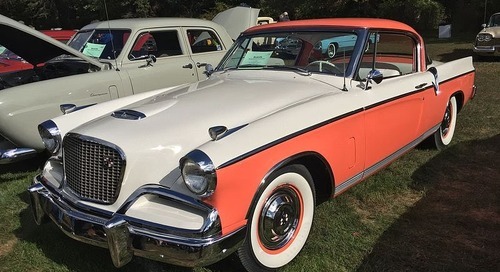 )” including such hits as “Help Me, Rhonda” and “California Girls.” The band was at the height of its popularity, helping drive what’s known as the “California Sound” that was a force in shaping the cultural and musical landscape of the mid-1960s. The movement also provided inspiration for Laurin Middle School, which was built in 1965 using what is known as a California style design blueprint. This means access to classrooms is mostly from the outside, and there are few (if any) indoor hallways. The reason for building like this wasn’t because of the Beach Boys, but that school districts wanted to reduce the cost for square footage by eliminating hallways. Battle Ground Public Schools' Board of Directors has placed a bond measure on the Feb. 13 ballot that would replace Laurin Middle School and three other aging schools in the district and reduce overcrowding with the construction of a new primary and middle school. The bond would also fund the replacement of the 500-900 buildings at Prairie High School, the renovation of two buildings at Amboy Middle School, the development of an Alternative Learning Experience campus, and improvements throughout the district to safety and security, classroom spaces, technology, and student recreation. The bond measure requires a 60 percent supermajority to pass. Current construction practices utilize multiple-floor designs to reduce hallway footage and create secure indoor access. Trying to retrofit older California designs to accommodate new safety standards, including infrastructure related to earthquake standards, camera systems and automatic door locks, is not economically sound. Five decades of regular wear and tear have taken their toll at Laurin. In fact, the school received a rating of “poor” on the district's most recent study and survey report. Construction experts recommend replacing the school rather than remodeling it. According to the report, it would cost just as much to remodel the school as it would to replace it with a brand new building. 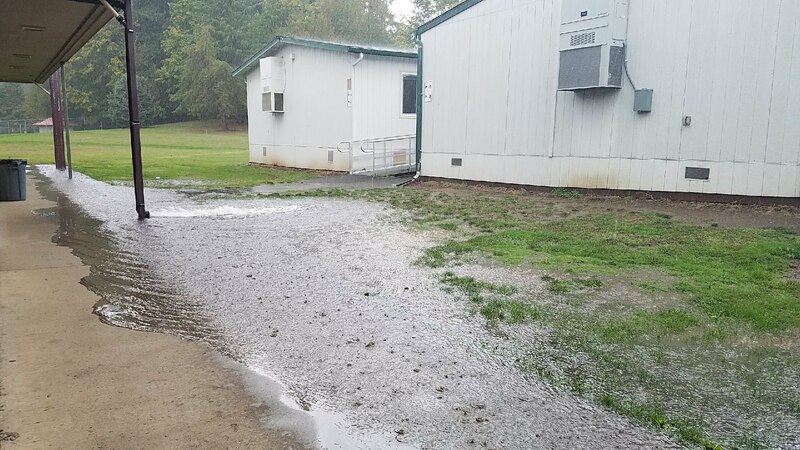 During the rainy fall and winter months, a large puddle often forms on the playground and around doors. You’ll often see sandbags placed around the school’s main entrance to prevent water from intruding into the building. The school’s maintenance workers spend a lot of time and effort managing leaks at the 52-year-old school. In eighth grade teacher Mary Nellor’s classroom, a long wooden box hangs from the ceiling concealing a pipe that has been routed to drain leaking water outside. 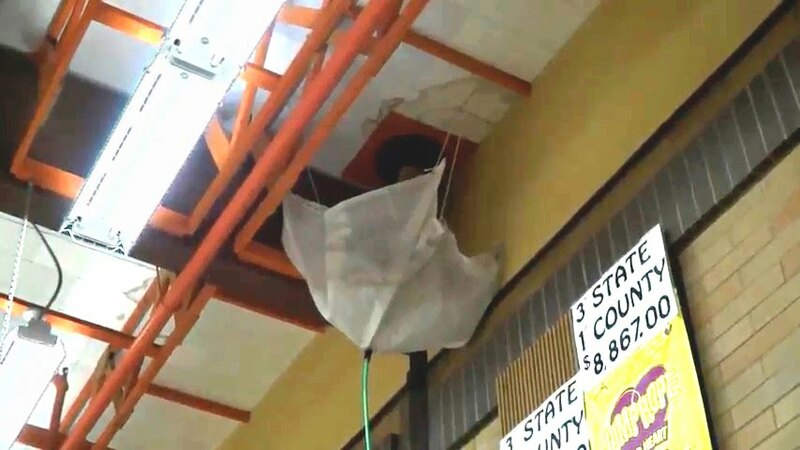 A makeshift water diversion system can also be found in the corner of the gym, where water from a leaky ceiling is collected in a bag connected to a garden hose that’s been taped to the wall and empties into a large garbage can. School librarian Angela Krant says that the room’s limitations present some challenges. Krant says that without adequate storage space, textbooks often encroach on the literary book space, and that students would benefit from having a dedicated workspace area. Teachers also feel the impact of the age and layout of the school. A teacher workroom had to be converted into a classroom, the shop class was divided into three separate rooms, and many of the offices now being used are converted closets, which in turn results in less storage space at the school. As the portables were being built, the drainage system was routed through the grass fields, significantly reducing the available playground space for the students to run and play. Laurin’s parking lot fills up very quickly, and staff and visitors often have to park along the shoulder of the narrow rural road. Traffic congestion is a regular occurrence during morning drop-off and afternoon pickup times. If voters approve the bond, the new and replacement schools would be designed based on Battle Ground's prototypical school model. The district owns land west of NE 152nd Avenue between NE 99th and NE 119th streets on which to build a new primary and middle school to help accommodate growth.